How much is Lance Crouther Worth? Lance Crouther net worth: Lance Crouther is an American television producer, writer, and actor who has a net worth of $5 million dollars. Lance Crouther grew up in Chicago, Illinois, and began his professional on-camera career in the early 90s, appearing in such projects as, "Lifestories", "Talkin' Dirty After Dark", "Class Act", "Fear of a Black Hat", and "CB4". More recently, he has appeared on such shows as "The Chris Rock Show" and "Frank TV". He began writing for television soon after launching his acting career. He has written for "Comic Justice", "The Gregory Hines Show", "The Chris Rock Show", "Happily Ever After: Fairy Tales for Every Child", "Down to Earth", "The Wayne Brady Show", "Wanda at Large", "Wanda Does It", "Everybody Hates Chris", "Real Time with Bill Maher", "Good Hair", "Lopez Tonight", and "Wanda Sykes Herlarious". He has also produced "The Chris Rock Show", "Wanda at Large", "Wanda Does It", "Barbershop", "Everybody Hates Chris", and "I Think I Love My Wife", among other projects. 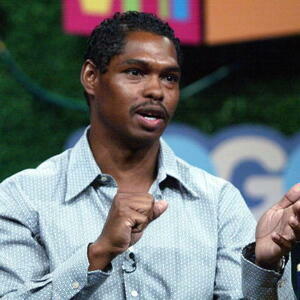 He is most widely recognized for his performance as "Pootie Tang" in "Pootie Tang" and other projects.